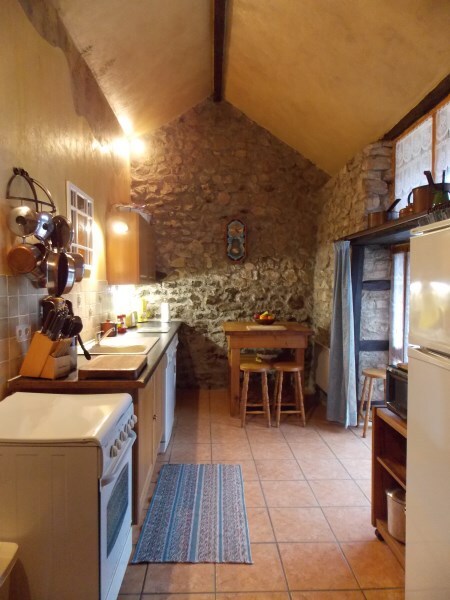 Gite One consists of two comfortable first floor bedrooms. Both bedrooms have a double bed and a single bed. There are also a single fold-up bed available. 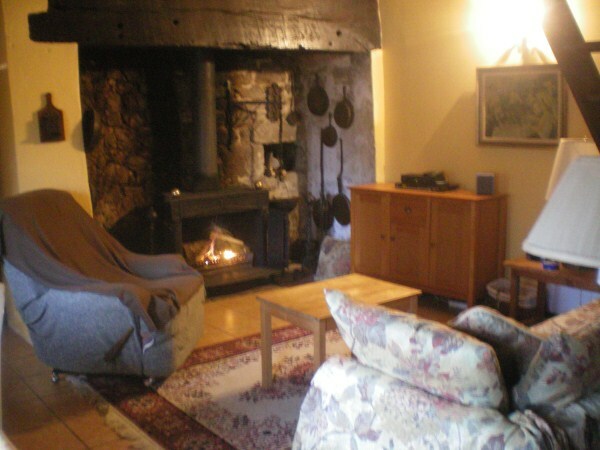 In the spacious lounge is an original inglenook type fireplace for cosy evenings next to the log fire. The sofa also converts into a queen sized bed. There is a full bathroom with bath shower and the kitchen is well equipped with washing machine, dishwasher etc. Off the kitchen there is a large stone built deck equipped with a table a chairs and lounge chairs. There is a BBQ area as well.